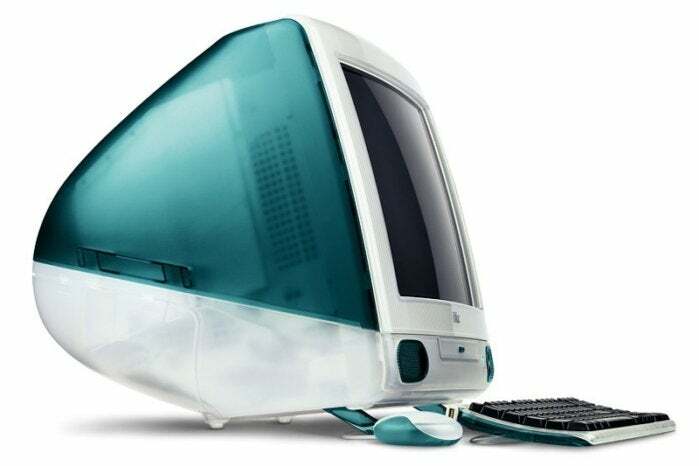 Apple's most iconic desktop computer. 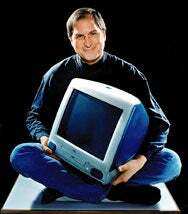 Editor’s note: 20 years ago today, Apple officially released the iMac. To commemorate the anniversary, we are reposting this article that originally appeared on the iMac’s tenth anniversary on August 15, 2008. The iMac made an instant impression when Apple first unveiled it in May 1998. But it didn’t start to really shake things up unitl it began to ship—which happened on August 15, 1998. Arguably the most influential desktop computer of the last decade, the original iMac’s specifications seem quaint by today’s standards. For $1,299, you came home with a 233MHz PowerPC G3 processor, 32MB of RAM, a 4GB hard drive, a 15-inch built-in monitor, and stereo speakers—all in an amazingly stylish case. The Bondi Blue wonder heralded the return of Steve Jobs as a visionary leader for Apple, and it halted Apple’s mid-1990s financial freefall. Initially marketed as an easy-to-use gateway to the internet, the iMac transcended that simple role and redefined the desktop PC market—not to mention consumer industrial design—forever. Before the iMac, personal computer enclosures were stuck in a design rut. Most manufacturers produced beige or gray metal boxes, each designed as a merely functional piece of equipment instead of an aesthetically pleasing creative tool. The iMac’s design shattered the status quo with its preference for gentle curves over harsh corners, and for vibrant color over dull neutrality. Apple even coined a new term, “Bondi Blue”—a blue-green hue named after Australia’s Bondi Beach shoreline—to describe the color of its new machine. Combined with an ice-white pinstripe pattern, the color scheme create a stunning enclosure theretofore unseen in the PC world. It made quite an impact on the public, but that was only the beginning. iThis, iThat—iPod, iPhone, iChat, iLife, iSight. Where did all those lowercase iPrefixes come from. You can thank the iMac for starting this ubiquitous Apple branding trend. Apple’s first marketing angle with the iMac relied heavily on the expanding popularity of the internet in the mid-1990s. With the “i” in “iMac” being short for “internet,” Apple billed the iMac as an easy way to get connected to the global network (in just two steps, according to one Apple advertisement). By focusing on the iMac’s internet aptitude, Apple chose a unique way to differentiate its product from other computers and to leapfrog to the top of the consumer PC heap. It worked. The iMac’s sole reliance on the USB interface meant that Mac users had to throw out all their old mice, keyboards, scanners, printers, and external drives. The computer’s lack of SCSI ports particularly scared Mac pundits, who long relied on SCSI for external storage. But at the same time, the iMac provided the first kick start USB needed to really get off the ground. Thanks to the iMac, many peripheral manufacturers launched their first-ever round of USB computer accessories—it was no coincidence that most of them shipped in transparent blue-green housing. Apple launched the Sony 3.5-inch disk drive with the Macintosh in 1984—and 14 years later, the company killed it with the iMac, which had no floppy drive whatsoever. The press greeted the decision to omit removable storage with considerable skepticism. But the absence of a floppy drive was a bold statement—Apple was declaring that from now on you will use the internet and local networks to transfer your files. And Apple was right, even if the company was slightly ahead of the curve. These days, computers lack a floppy drive, and users barely miss it. 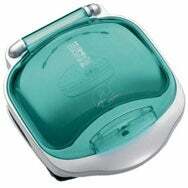 Imitation may be the sincerest form of flattery, but when George Foreman Grills are following your lead, it’s time to change things up. The next time you see a consumer thingmabob with a translucent plastic case—especially those available in multiple candy colors—you can thank (or curse) iMac chief designer Jonathan Ive. 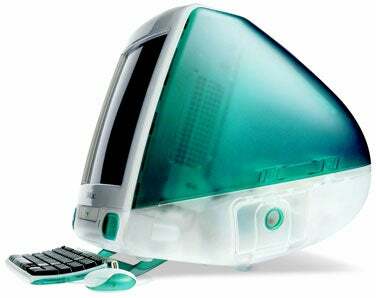 After the release of iMac, multi-colored translucent plastic housing became such a common staple in the consumer products industry that the iMac’s 1999 to 2000 Technicolor parade of models almost became a parody of itself. Apple had to move on, dropping the bright array of colors from the product line with the release of the flat-panel iMac in 2002. Even then, other companies came along for the ride: most consumer electronics devices now ship in brushed aluminum, frosty white, or glossy black—the colors used in other iMac iterations. During a power struggle in 1985, Apple executives forced Steve Jobs to resign from the company he co-founded. After Apple purchased NeXT in 1997, Jobs returned to Apple and soon became “Interim CEO.” The world looked to him to turn Apple around, and he delivered: after dumping unprofitable product lines and streamlining the business in general, Apple was back in the black. But no amount of fiddling with the budget could compare symbolically with the success of the iMac—clearly Jobs’ baby—which served as a concrete reminder of his uncanny ability to inspire those under him to create incredible products. The iMac’s success meant Jobs’ success, and it inspired the Apple faithful to follow him once more. In 1996 to 1997, the media pronounced Apple all but dead. The company lost $878 million in 1997, but under the renewed guidance of Steve Jobs, it earned $414 million in 1998, its first profit in three years. Those results stemmed from both reducing operating costs and from iMac sales. And yet the iMac meant more than just financial returns: the symbolic impact of Apple once again having an exciting, innovative product marked a victory in the hearts and the minds of the public, and it proved that Apple still had the chops to stay in business. Thanks to continued innovation in the iMac line and beyond, Apple is now more profitable than ever, and will likely continue to be so. But even with the iPhones, iPods, and iTunes dominating today’s news, we shouldn’t forget that Apple’s 21st century success can be traced directly back to iMac’s launch a decades ago. This article was originally published on August 15, 2008.